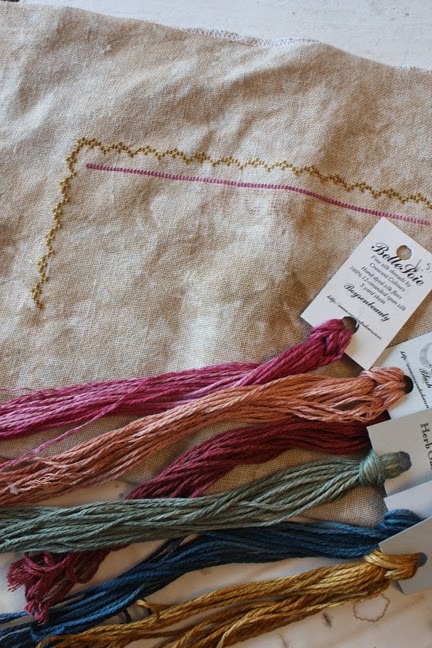 Gather your needles and thread and stitch a sampler with us! If you are like me, there is plenty of weeding and planting to do...but this easy piece is the perfect size to accomplish in a short time. I recently found the sampler pictured above on e-bay. It arrived in Kansas recently, along with 6 other pieces Barb and I purchased from a dealer in West Yorkshire, United Kingdom. I must confess the colors attracted my attention! The pink, gold and gray combination is bright and sweet, and felt just right for a fresh summer look. Love the small row of flowers too! This certainly was a great learning piece for some young schoolgirl. Not only did she learn to cross stitch over one and two linen threads, the four-sided stitch and the eyelet stitch had to be mastered too. I'm not too sure about the date....unless it's the date of her birth. This doesn't look like a sampler stitched in 1796 to me. I would have guessed it would be dated about 1810 - 1860. But, I'm certainly no expert when it comes to dating samplers. If you can date this piece more accurately please let me know! Unfortunately the name of the young girl who completed this piece was removed or damaged. This one is being stitched on 36ct. Pecan Butter by Lakeside Linens. It's going to be petite and too cute for words. The floss is cotton by Gentle Arts Sampler Threads. (The picot border really shows up here.) I must admit the four-sided stitch isn't my favorite....but I'm determined to master it. It's the first time I've even tried it. Just like every button in the dish above is different, we would love for you to take the pattern we will provide and make it have meaning for you and your family. Barb plans to bridge the generations with hers. She wants her mom to stitch a row of letters and then pass it to her niece so she and her young daughter can stitch a row. Barb will finish the piece so it will have the stitching of four generations. We would love for you to send us pictures of your progress. I will set up an Instagram site and also post pictures here for those who don't do Instagram. We will post progress one day a week for 2 months .... more if needed. I will post a link for the pattern here on the blog site over the weekend. I have to finish up a couple more details. What do you think? Are you in? Count me in. Love it! O yes I'm in I love stitching samplers and this one is so beautifull. This sounds like so much fun! I'd love to stitch along! sounds exciting. And love the sampler and colours! Count me in!!! Love the colors and the overall design. Oh this will be a fun little stitch --can't wait to start! I love it! I can't wait to start. Thank you for hosting. I love it Alma! It is beautiful! I would love to stitch along! So pretty and fun! count me in too.. this will be so much fun!! Thanks. So pretty, would love to stitch along! Thank you for the design and the hosting of this SAL! What a sweet little sampler - I want to play, too! Looking forward to seeing the chart and the GAST colors you've selected. Count me in - it looks beautiful, and stitching along with others will motivate me to finish. I'd love to join too! I want to be a part of the fun!! I'm drawn to those beautiful colors! Thank you! Nice sampler. Nice colors. I'd love to stitch this one. Thanks!! I can't wait to play with my colors!!!!!!!! I am definitely in :-). Alma, I'm in. I can't wait. Now if you can get the pattern up before Saturday at 4 PM. I can run to my LNS to pick up my supplies. No pressure. hahahaha! The pressure is on. Can't wait to start this one, thank you for doing this! 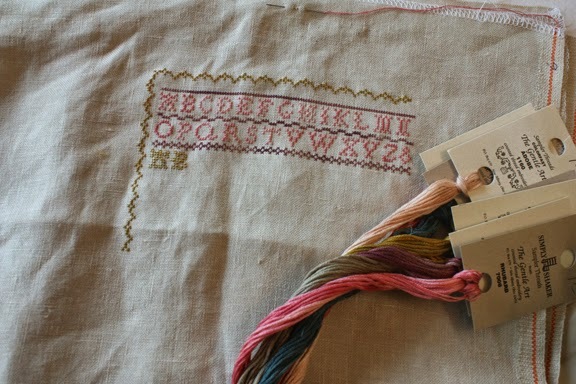 The nice thing about this sampler is the letters are really easy to stitch. Take a look at this link. Also, you might "google" how to cross stitch. You might find a great video demonstrating the stitch. Hey Alma, thank you for the personal reply and guidance! :) I will take a look at the link and look on Youtube to see if there are videos. I really, really want to learn to cross stitch! Never ever thought I'd quilt, and now I know how to quilt and sew fairly well. Thanks again! Sounds fun. Thank you so much for doing this. I am definitely in! Thanks so much, this is so sweet! There are no other stitchers in my family so I'll being doing this on my own. No problem. We'd love to see one with your name and initials! I can't wait to follow the progress on Instagram. Please post the link when you have it. I will post the link. I have to have someone help me set it up....but once it's done will be sure to let you know where to find us. We will post on the blog too. Sounds like fun - can't wait to get started! Estimated Alma, hello from Italy. I'm not an expert, but a lucky sampler collector. Linen most of the times, if properly stored, it may look not so much antiqued. So, i'm also think can be the sampler of his grandmother, in memory of her. But maybe an expert can tell you more. That sampler looks great. Could I join? If not is ok, thanks so much! I love your works i'm doing one o them. Hugs from Italy. We would love to have you stitch along with us! Everyone is welcome to the party! Will enjoy this! Can't wait to hear more! What a great idear! Just love to join! Oooh, love the colors and the idea of changing bits around could be fun! I'm in I love stitching samplers and this one is very beautifull. Count me in. My last samplers were in black so this will be something realy different. It's beautiful. I'm in too. Thanks for doing this. These are always so fun. Sound fun, count me in! Ooh those colours are gorgeous! I love the idea of involving the family I might rope my twin girls in on this too. Lovely! You can count me in! 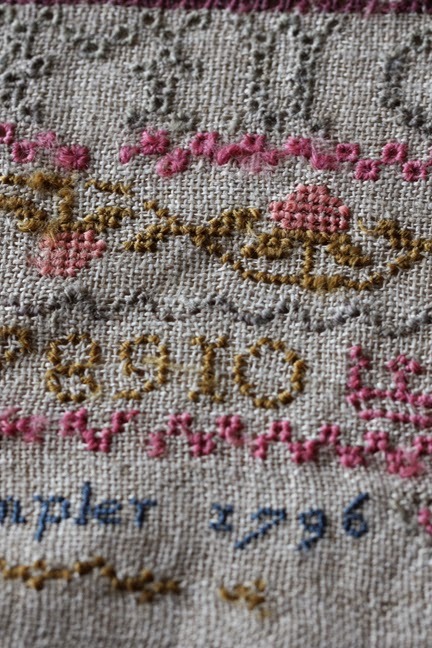 To me, the date seems to match perfectly the style of this small sampler. Nice Sampler! Count me in too!! Thanks you very much, Alma! So sweet and colorful! Would love to join in too!! Thank you! Not to worry....we will wait for you! This is a no one left behind kind of thing! Looks beautiful... as always. Sweet, sweet sampler. Thank you! I'm in! What a perfect little summer stitch! Thanks so much! Lovely! I'm in! Thanks for the summer sampler project! I haven't cross stitched forever, but you sure do make it tempting! Love these colors. I'm in! I love the picot border too. I don't know the four sided stitch, but will look it up. Do you wash your fabric before you stitch? I'm going to try to get my Daughter to put in a stitch. She is a knitter only:) It's for her and will have her initials and mine in it. We don't wash our fabric before we stitch or after we are done. I love the idea of your daughter helping. I'm sure she could stitch her initials...or even one of the dividing bands. Sweet sampler and I'd love to stitch it (even though I'm horrible at SALs). Count me in! I've seen your wonderful "Jane Pattison"...you can't be that bad at a SAL!!!!! I'd love to stitch this one too! I love the colors. Me too! 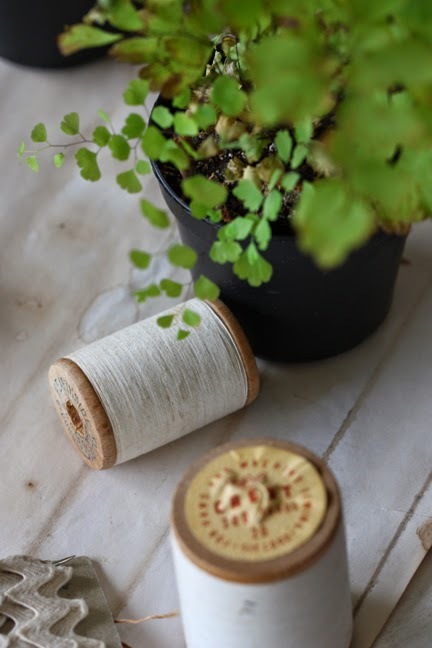 Love the idea of generational stitchers. I have one young grand daughter that will stitch and a couple DIL's. I will visit with them and see if I can get them interested. Maybe do a round robin! Looking forward to getting the pattern! Thanks so much for the inspiration. Love it!! I'm in :). I have a crazy time at work BUT I don't want to miss this one!!. One more thing in my plate is not gonna make me crazy. LOL. I would love to stitch with you. I love samplers. Count with me!!. Sounds fun! I would love to try this sampler. Can't wait to start. Can't wait to start. I'm a repro. sampler addict, so I'll stitch as charted, at least for the first one. I'm in too. Learning a new stitch would do me good. Lovely little sampler. Count me in ! I'm in also!!! Thank you! Maybe this is just the ticket to get me motivated to finish something I start. Count me in! Thanks so much for this SAL. I love samplers, so count me in on this one. Love the colors - I'm in! Oh I am definitely in!!! Thank you for the SAL! Love the idea of having different generations doing the stitching. I would like to do that with my mother and my daughter. This is amazing! I would love to be a part of the SAL!! Even though I already have two samplers on the go... I can make time for this!! Count me in:) I love that sampler. Such lovely colors, count me in. I love stitching and samplers, so how can I not be part of this stitch-along? Count me in. Lovely colors and nice sampler. I would love to stitch it. My favorite colors ... how can I resist ;-) getting excited now! Love it ... I am in too, but I am a bit pokey so I will be tagging along with the slow ones. Oh I am in! I love samplers and it has been awhile since I did one. I am already thinking what I can add to mine! 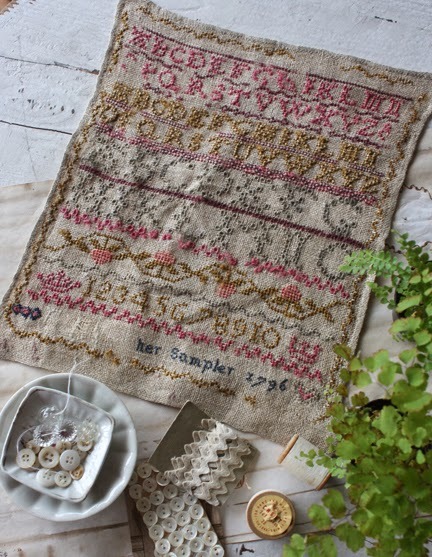 Count me in, this sampler is so beautiful ! Count me in, I have never done a SAL. Not sure how it works. Sounds like a good way to get something finished! The sampler looks beautiful and I love the colours. I would love to join the stitch-along. Please count me in. Thanks, it is a beauty!!!! What's your instagram name Alma? 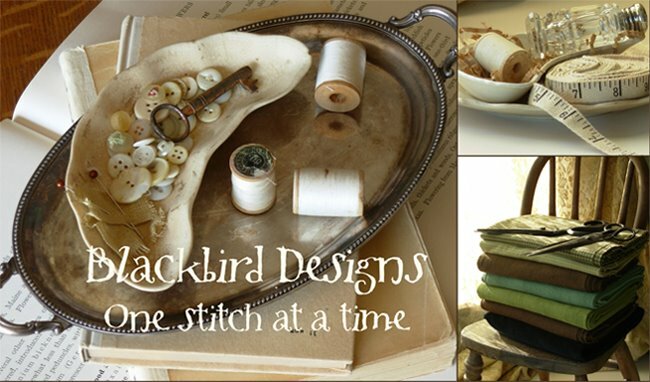 I can't find you or Blackbird designs. I would love to stitch this with you! Count me in!!! It looks like a great stitch!!!! It's beautiful and so fresh! I would love to join, too - the colors are so perfect! Thank you. I would like to join the stitch along too. What fun!!!! I would love to participate. I have been thinking about small samplers to commemorate special dates in my family's lives......this will inspire me! I would like to join the Stitch a long too! That's sound great ! I'm in ! I like to join this SAL. It's so beautifull. Please count me in. Thanks, it is so beautyful! What time will you start with this project? What a fun project. I want to do it. Je participerai avec plaisir à ce SAL Chantal. Hi Barb and Alma, I would really like to join the Sal. She is so beautiful! Greetings, Ina Netherlands. I would love to stitch along! I adore that sweet scallop border!! Count me in - I'm going to have my granddaughters and grandson each stitch a line....will be a great summer project for us! I think I am in. I already have three projects going but what is one more. Ik meld me bij deze ook aan. I'm in of course! Thanks a lot! Of course I'm in! I really got bogged down in samplers bigger than I can properly handle last year. This year most of my attention is going back to smaller, more doable projects. Some confusion around the web...is this going to be a chart that we purchase at our LNS, or is this going to be published here somewhere? Count me in! Love to stitch. Lovely. Please count me in. Thanks Alma. This sampler is gorgeous. I would love to join you. Please count me in. Thanks a lot, Alma. I am REALLY all in...just ordered my threads! So cute! I'm totally in!! Count me in, too! This will be my first SAL. Can't wait to get started! I am in. Love the pattern. How will we receive the pattern? This is my first SAL. Not familiar with how it works. Thanks. Please count me in too! It's so beautifull! I just got my linen and thread! Looking forward to getting started! I love these sweet samplers. It looks lovely. I have done some others you have had on your blog and they got me going in cross stitch. I had done a very little in the past and it was fun to start it again. I would like to join the group. acceptable...please let me know how to proceed. I don't have a phone or tablet to get instagram. Can you post pics the old fashioned way from instagram? I would lire to join you. Is it too late? I saw a gorgeous quilt online. Its your Midnight Silhouette pattern. I've been looking for the pattern and all sites show it as out of stock. I wrote an email to one of the shops and was informed its out of print. Will you be reprinting this pattern? Your work is amazing. I love it! Is this sampler still available?